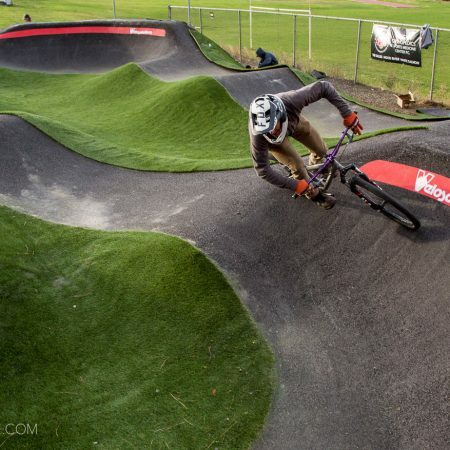 The best part about the concept of the pumptrack is the riding scene that builds around it. Because riders of all ages are capable of riding them, riders of all skill levels gather together to share in the good times. It’s something that isn’t found as often in the mountain bike trail riding scene, where we’re all out riding and doing our own ride. 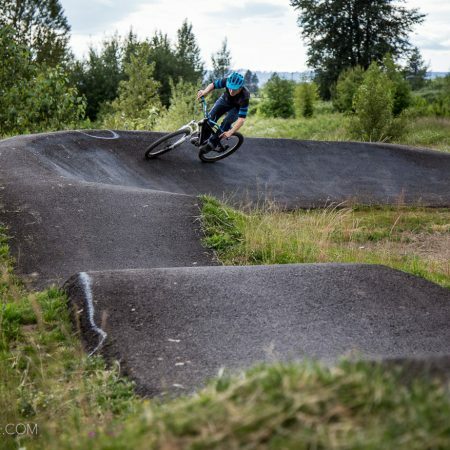 Dirt jumps and bike/skate parks have a similar community vibe, but you won’t see the highly skilled DH specialist and the XC endurance guys come together the way you do at a local pumptrack. First up a video from the GSTAAD Scott Team at the Jenaz Cement Pump Track in Switzerland from their pump track tour. 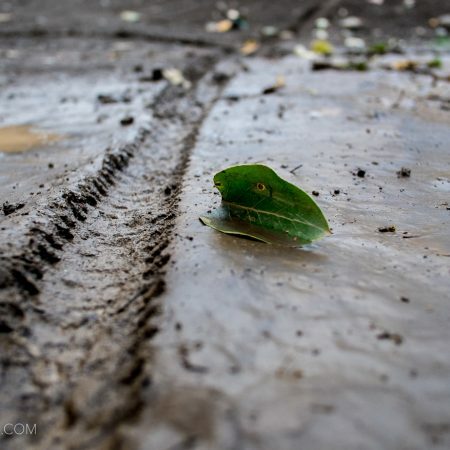 Yes- that pump track is indeed paved. It’s certainly one way to make track maintanence free. Check out this video of a guy riding it on roller blades for more. Jenaz from Claudio Caluori on Vimeo. This next video is also from the GSTAAD Scott pump track tour, of the Parpan pump track. This one is also build by Velosolutions, and was built for the Hotel Bestzeit in Parpan. They’re riding the pump track in the wet, which would normally make me think “huh?”, since you can already see the ruts they’re making, but since the Scott team and appears to be managed by the same guy that built the pump track, I’m guessing they probably fixed it after they sessioned it. Parpan from Claudio Caluori on Vimeo. This track is all about the backyard session, with this particular pump track belonging to Nukeproof sponsored rider Gyn O’Brian. Shoveit | PumpTrackSessions from Shoveit on Vimeo. And here’s one revisiting the OG Pumptracker, Mark Weir. What do you think of concrete pump tracks? 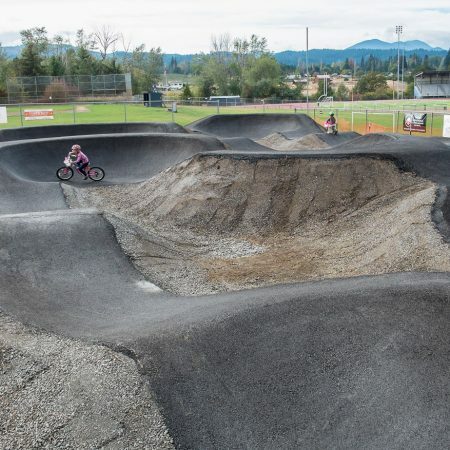 Are they the future of pump tracks in public bike parks here in the states as well? Leave your thoughts in the comments below.